Church Branding or Marketing? What's the Difference? If "marketing" was the church's buzzword for the 90s, "branding" is definitely the new, upstart concept when it comes to communications these days. So what makes the new millennium's branding better than last century's marketing strategy? A lot, if we understand the differences between them. Branding and marketing both aim at communicating a product, an institution, even a person to a particular audience. This whole process happens solely in the mind. In this case, perception is realityâ€”for good or bad. Most of what marketing does is build a brandâ€”create a favorable reality in the minds of our target audience. A marketing campaign's effectiveness is measured in months, but a brand's strength is calculated in years, even decades. Each marketing effort should help define, position, and strengthen the brand. Recently, the Old Spice campaign featuring Isaiah Mustafa has sold a lot of deodorant to men who want to be more Isaiah and to wives who wished their husbands looked like Isiah. The once tired, old-man brand got a new face, new energy and lots of new sales through a shift in brand positioning. So what about the church? How should we view the branding dilemma? First of all, we must remember that as far as the church is concerned, marketing is simply communication. Jesus commanded us in Luke 14:23 to go into the highways and lanes and "compel" them to come in. And for marketing to build a brand, it must be deliberate, systematic, and consistent. Before we can begin to build a brand, we must know our branding statement and position. "We are a church; that's our position," you might argue. But within the category of churches, yours should have its own identity, calling, niche, passion, or however you want to define your uniqueness. That's a deliberate message you need to continue to share, and it should always come through in your communication strategy. I was fortunate to be in on the birth and growth of a church that reached megachurch status in a very short period of time. Our brand statement was, "Real Hope for Real People in the Real World." And boy, did we keep it real! The way we used music, graphic arts and language reflected a church very much in tune with popular culture. We wanted to keep it real and we did. "The church for people who don't like church," some would say. That was our brand. We drove home the message online, on every direct mail piece, radio and television spot. And it worked. "We tried this before; it didn't work." These are the famous last seven words of the dying church. You must be consistent with the message and with your efforts to continue to reach your community for Christ. Your strategy might change from one medium to another, but your consistency in message and focus should reinforce your brand. 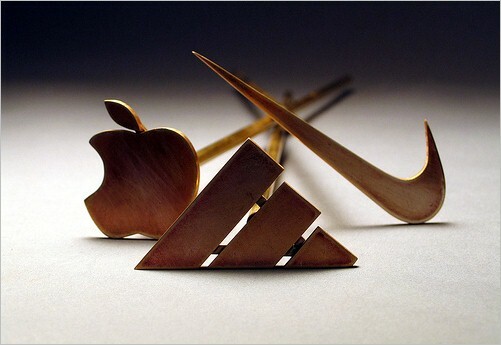 A strong visual logo is always a good way to build your brand. Lakewood Church in Houston, TX does a great job with branding. At every opportunity, Lakewood lets you know that, "We believe in you!" Don't give up after a few tries. Consistency pays dividends in the long run. Be patient, stick with it, and you will see results. As you help your church through communication issues, remember to make sure you have a compelling brand statement that will be part of your marketing strategy for a long time. A good brand statement will add value to the reader and give him or her a new incentive to visit your church: "we believe in you." Build that brand every chance you have: bulletins, letterhead, business cards, websites, billboards, radio spots, television spots, etc. Remember that you cannot over use your brand statement. You might be sick of it after a few years, but to some it will be a new revelation. You know you're doing a good job when you hear someone new to the church repeat it back to you. Oh, that's always music to my years. Does your church have a brand statement? What is it?